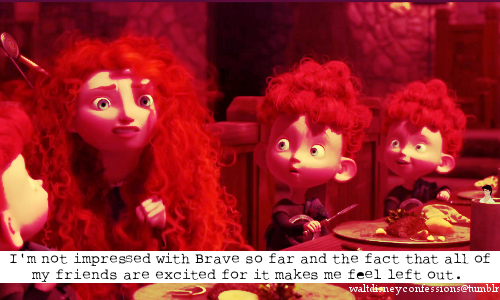 In honor of the opening weekend for the newest Disney Pixar movie Brave, Disney Confessions Friday is going to consist of five Brave confessions!!! 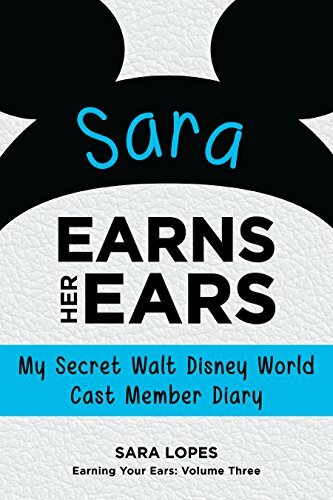 Before we get started...I want to share a milestone for The Disney Den. Our Tumblr has officially passed 100 followers!!! Yeeee!!!!! 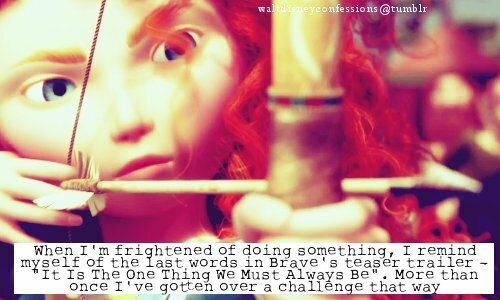 Okay, happy dance is over :) On to the confessions! That's shocking...usually Disney characters should be role models to help people feel proud of their differences, not to make you feel better by having horrible opinions on characters..right? 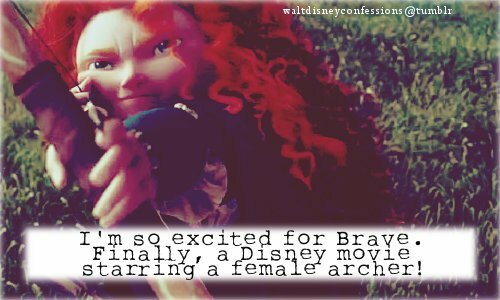 Excuse me, but Brave has been under production for YEARS. I highly doubt they just took those two movies and used their ideas. 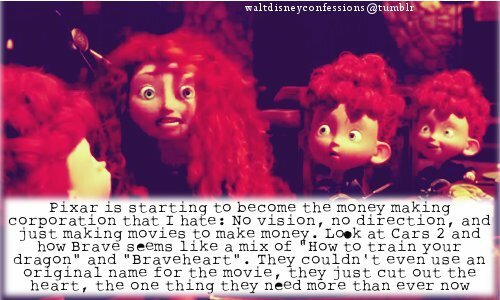 I bet Pixar even had the movie idea before How to Train Your Dragon even came out. So what if the title is similar to Braveheart? The stories are completely different. It's just a title. 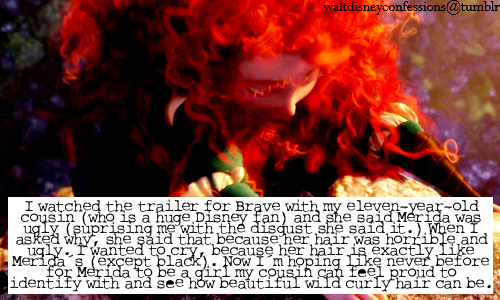 What matters is that it's original and unlike any of Pixar's other movies. Okay, my rant is done haha. Who's seeing the movie this weekend? I'm trying to convince my parents to make a trip with me while we're up visiting my grandparents. My mom wants to see Rock of Ages because Tom Cruise is in it...but so it will be tough to persuade her hehehe. If you want weekly confessions or any fun Disney updates, subscribe to The Disney Den! Haha I figured :) These ones are a little older than when you said yours were up.